Dubai's push to boost tourism numbers is paying dividends with the emirate ranked among the few global cities with more tourists than residents. Visitors to the popular destination outnumber residents by around five to one, a study by UK-based travel firm On The Go Tours has revealed. Dubai now attracts 15.3 million tourists annually compared to its population of around 2.7 million, a swell of 459 percent. This is the third highest ratio of visitors versus residents after Paris and Kuala Lumpur, according to the study. Home to the world's tallest tower, the Burj Khalifa, its tallest hotel, JW Marriott Marquis, Dubai, the iconic seven-star property, Burj Al Arab and several high-profile attractions, from theme parks to mega malls, Dubai continues to attract increasing numbers of tourists every year. During the first quarter of 2017 (January to March), Dubai Tourism said 4.57 million tourists visited the emirate, up 11 percent on Q1 2016. Paris topped the list of cities where the native population of 2.2 million was outnumbered by 18 million overseas visitors, registering a 704 per cent increase annually. Kuala Lumpur followed with 1.7 million residents and 12 million tourists representing a 595 percent rise. “The World Economic Forum has found that for every 30 new tourists to a destination, one new job is created,” the On The Go Tours study said. The numbers reflect how many people visit the most popular cities in the world showing the growth in the city’s population throughout the year. Other cities in the top 10 included Milan, Barcelona, Prague, Vienna, Amsterdam, Taipei and Osaka. New official data published by Dubai Economy has projected the tourism industry will grow by 5 percent in 2017 and 5.1 percent in 2018. 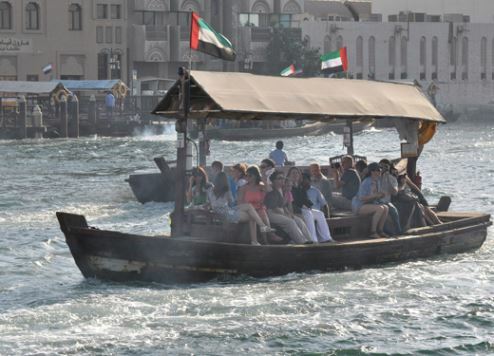 The emirate is on track to receive the 20 million tourists it is targeting by 2020, while Expo 2020 Dubai is expected to attract 25 million visitors between October 2020 and April 2021.